Improving the accessibilty of public transport is also about taking due account of efficient local solutions, write Wiener Linien and the Austrian Association in Support of the Blind and Visually Impaired. Wiener Linien is the public transport operator for the Austrian capital, Vienna, and the Austrian Association in Support of the Blind and Visually Impaired is also known by its German name, Hilfsgemeinschaft der Blinden und Sehnschwachen Oesterreichs. The Austrian Association in Support of the Blind and Visually Impaired and Wiener Linien started working together to improve the accessibility of the network for blind and visually impaired people some 20 years ago. This cooperation has led to an increased awareness for the needs people with restricted mobility, and for the practical, financial and technical possibilities that the public transport operator can offer. As a result, the efficiency of the joint work grew significantly. The European Accessibility Act is the right thing, according to the Hilfsgemeinschaft. It enforces the establishment of common rules to fulfil the needs and requirements of people with reduced mobility within the European Union. However the Hilfsgemeinschaft highlights that substantial progress has been made thanks to good cooperation with Wiener Linien. 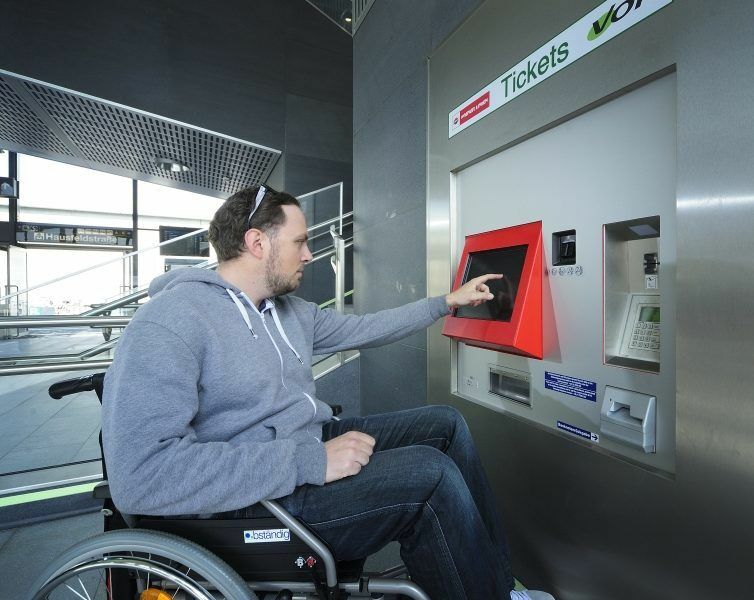 Convenient solutions have been implemented in Vienna, which have improved the situation for both blind and visually impaired people, making Vienna one of the capital cities with excellent conditions for all passengers. The first promising results of this joint work were achieved in tests for developing a tactile guidance system in metro stations. Those results were the basis for standards which evolved later. On the basis of agreement between the Hilfsgemeinschaft and Wiener Linien the implementation of this tactile guidance system started long before those standards entered officially into force. The collaboration with Wiener Linien continued in the framework of the project POPTIS (Pre-On-Post-Trip-Information-System). 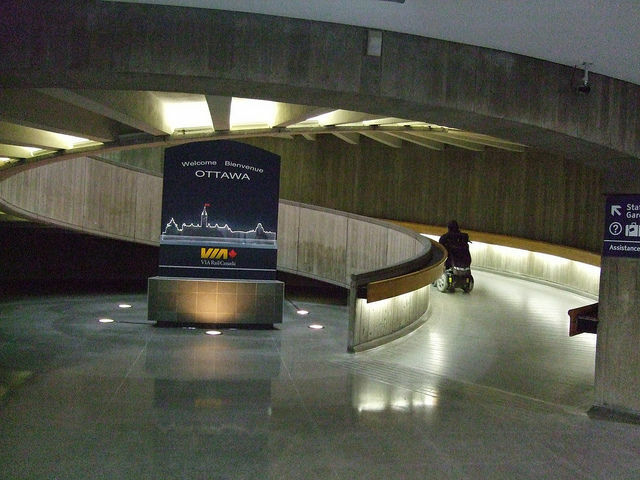 The aim of this project was to guarantee a secure orientation for blind and visually-impaired people both within and right next to the metro station. This was achieved by an ‘On-Trip’-system on smartphones and a pre- and post-system on computers. POPTIS has become established as a valuable service for blind and visually-impaired passengers. With new and improved data information carriers and enhanced communication technologies, POPTIS is currently being updated by the Hilfsgemeinschaft on behalf of Wiener Linien. Another project, ways4me, constitutes an important milestone in the collaboration. 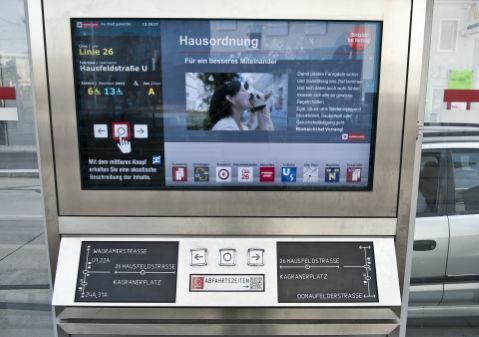 In cooperation with the Austrian research centre, Johanneum Kapfenberg, the project focused on enhancing navigation and communication for the blind and visually-impaired while they are using public transport. They should be enabled to travel on their own without any help or assistance. By means of a routing-app on smartphones , stations can be found more easily. In addition, it’s possible to establish communication between the on-board computer of the vehicle and the passenger’s smartphone, for getting in or off at stations and bus stops. A special national prize has been awarded to this project. Furthermore, the Hilfsgemeinschaft and Wiener Linien cooperated on a project called AIM4IT. This envisages the development of an app which offers information by more than one sensory channel. Deaf or blind passengers, mobility-restricted people or wheelchair users create a user profile – in case of a service interruption, they receive information and alternative route recommendations on their smartphone, tailored to their specific needs, e.g. blind or visually impaired people receives this information via a text-to-speech channel. Separately, on the basis of the MofA (Mobility for All) project, the Hilfsgemeinschaft and Wiener Linien devised a test-method for accessibility that can be used for existing buildings as well as for design planning. Within the Straßenbahnhaltestelle der Zukunft (Tramstops of the Future) project, specific equipment components were considered which are tailored to the senses of touch and hearing of blind and visually-impaired people. This project includes a tactile plan showing the immediate surrounding area of stations, information about voice-output concerning stations and metro, bus or tramlines, information in large type with appropriate illumination, etc. There is also close cooperation on the planning of the new tram, Flexity and the development of a barrier-free ticketing machine in the vehicles. Currently a further pilot project, E-paper, is in progress which aims to improve passenger information at stations by replacing old-fashioned printed timetables. The E-paper system will show the current timetables and will be equipped with a text-to speech mode that will enable blind and visually impaired persons to receive information by voice output. This large number of successfully projects for blind and visually impaired users of the public transport system in Vienna has led to an improvement of their mobility, and participation in social life. By proposing harmonised accessibility rules, the European Accessibility Act will further help; however, care should be taken not to hinder but to enforce the existing, successful, collaboration between the public transport operators and the associations representing passengers with special needs.